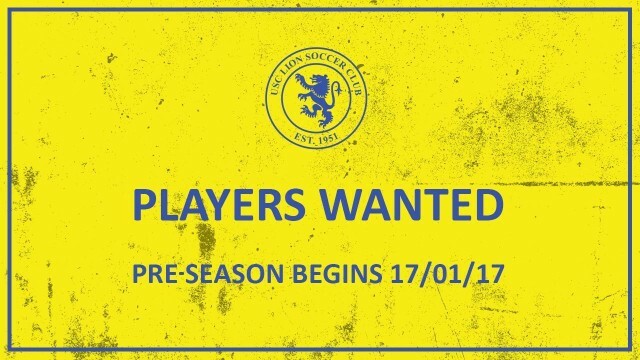 USC Lion is seeking players for the upcoming season in the Saturday Premier Division. Pre-season training will begin on Tuesday 17th of January at 6.45pm (arrive 6:30) and will continue every Tuesday and Thursday at Grange Reserve (Cnr Military Rd & Trimmer Pde, Grange). Meet and Greet: A casual kick around will be held on Sunday 8th of January at 1pm, followed by a BBQ. Facebook Event (click). For any new player enquiries, email usclion@gmail.com or phone 0433 011 548.